Arps Dairy is dedicated to investing in and giving back to our community. We consider it a privilege to help those who are also dedicated to giving back to the community as well. This is why when asked to donate milk for the St. John Lutheran Church’s Lock-in: 42UDE, we quickly agreed. 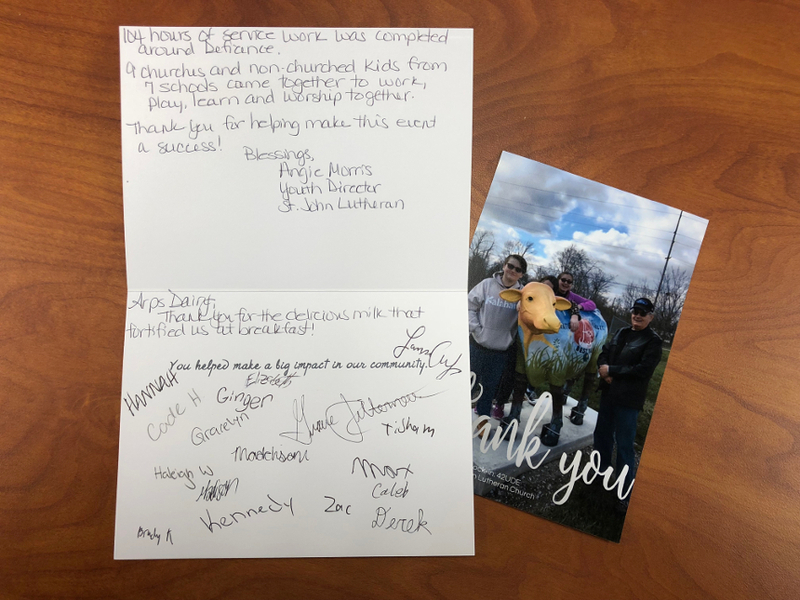 Not only did it allow kids to have a wonderful time fellowshiping together, it also resulted in 104 hours of service work completed around the Defiance area. For those who participated, we would like to thank you for your service to the community!